Supporting young people to connect with Shakespeare by embodying his language and breathing life into his storytelling. Led by experienced Shakespeare practitioners and educationalists, Aileen Gonsalves and Dr Tracy Irish, this training will introduce theatre-based approaches for studying Shakespeare in the classroom, sharing the ‘Gonsalves Method’ with its unique 5 conditions used by Butterfly Theatre Company. 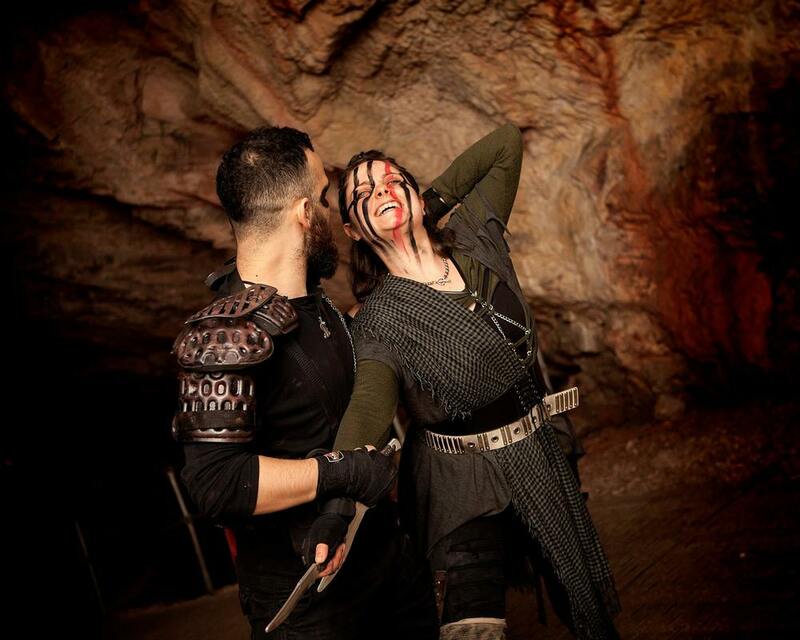 Butterfly have been performing Shakespeare Underground for 10 years in Kents Cavern in Torquay and now they want to share their methods with local Devon schools. Through a series of practical exercises, transferable to other texts, we will share our working language to build confidence with the language, characters and themes of Macbeth, particularly for KS2. The day will provide space for everyone to share their concerns, exchange insights and discoveries, and leave feeling empowered to dive in and bring Shakespeare to life in their classrooms. Aileen Gonsalves, Butterfly's Artistic Director, founded Butterfly in 2012. Aileen has directed 30 of Butterfly's portfolio of productions. In 2016-17 Aileen was Associate Director to Greg Doran on The Royal Shakespeare Company's groundbreaking technological production of The Tempest(2016) and Director of the RSC First Encounters UK schools tour of The Tempest(2017). Aileen was Head of the MA in Acting 2012-2015 at Artsed, London and has been an RSC Educational Associate Practitioner for over ten years, leading programmes across the UK, USA and Oman. Dr Tracy Irish, an experienced teacher, specialising in Shakespeare, who has worked with a wide range of schools and theatre companies in the UK and internationally. She regularly works as a practitioner with the Royal Shakespeare Company, with Butterfly, and as a visiting lecturer at the Universities of Birmingham and Warwick. Her practice employs theatre-based approaches, combined with complex texts, to develop communication skills and social cognition in young people. Butterfly Theatre - Making you feel in extraordinary places! !